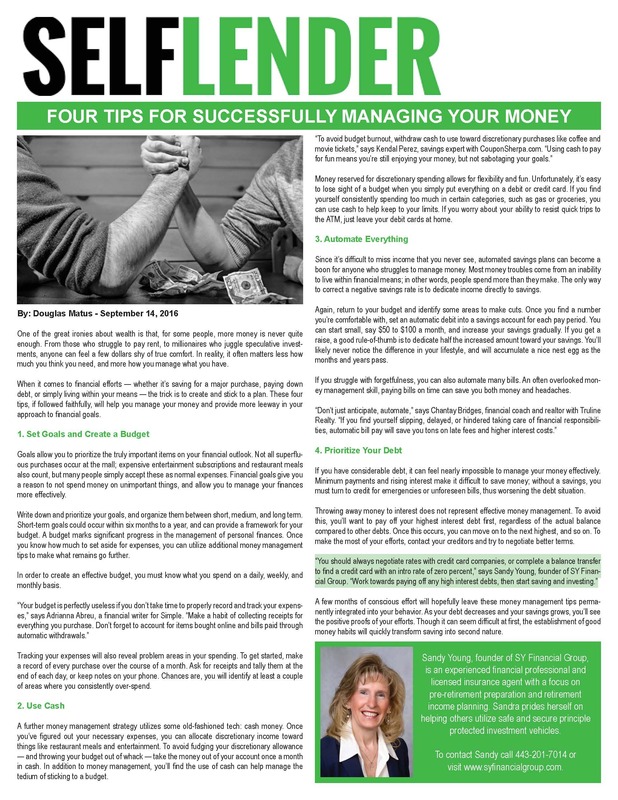 I was featured as an expert in SelfLender article, "Four Tips for Successfully Managing Your Money!" 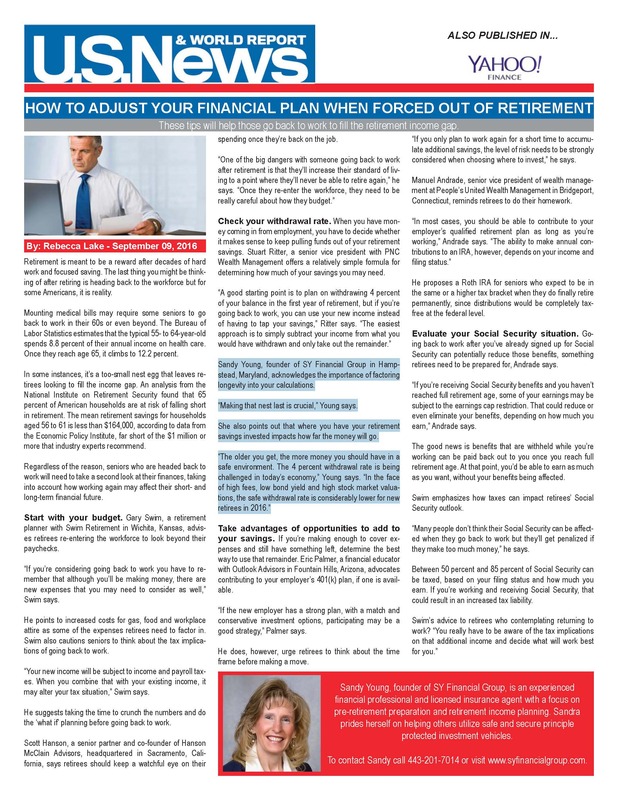 I was featured as an expert in U.S. News "How to Adjust Your Financial Plan When Forced Out of Retirement!" 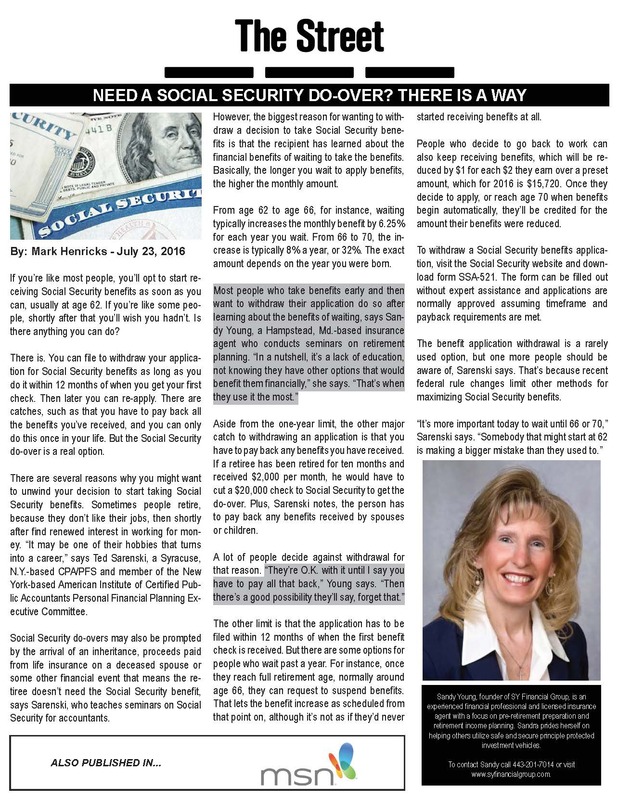 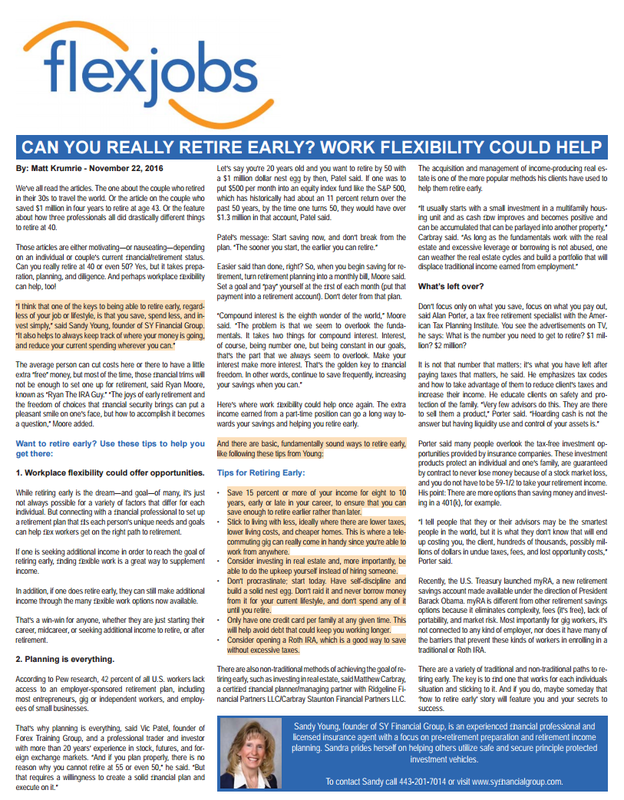 I was featured as an expert in TheStreet article, "Need a Social Security Do-Over? 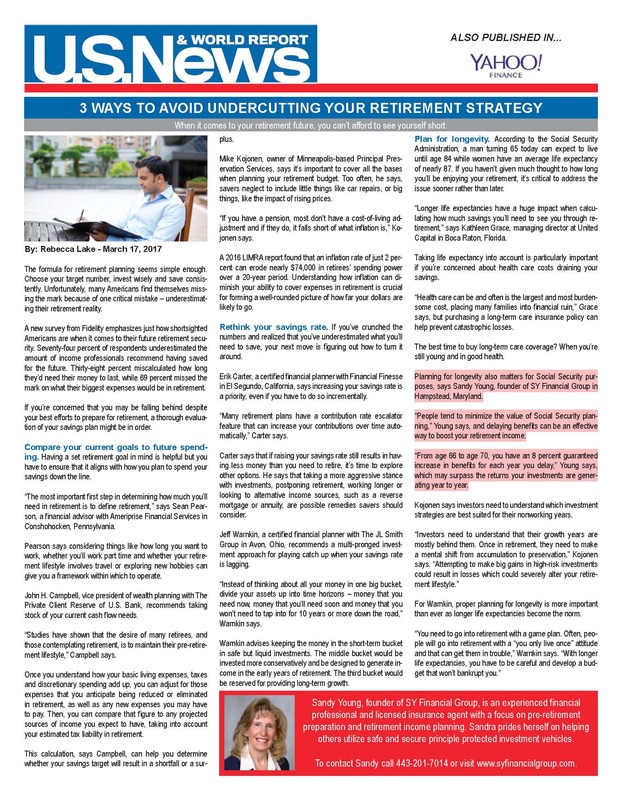 There is a Way!" 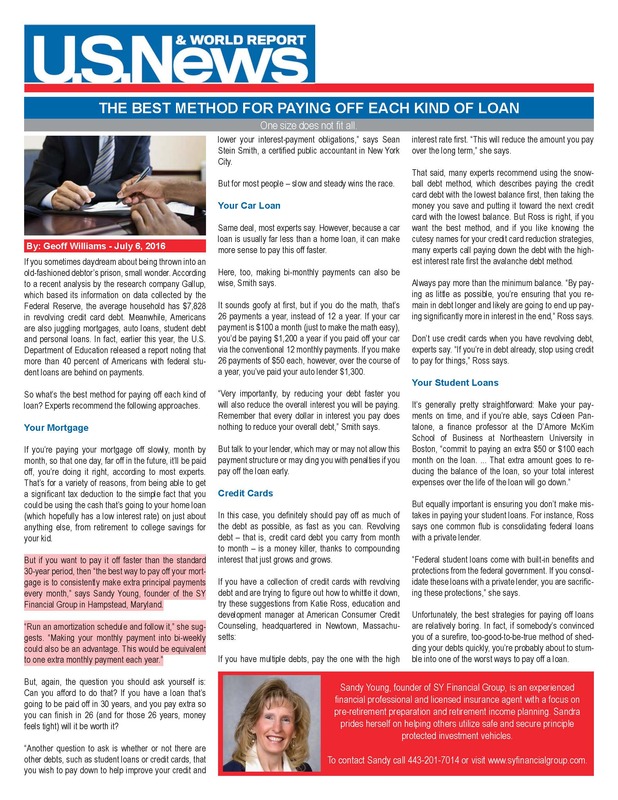 I was featured an an expert in the latest U.S. News & World Report article, "The Best Method for Paying off Each Kind of Loan."